Dovetailing on the success of Training for the New Alpinism and Patagonia's own emphasis on all mountain use, Training for the Uphill Athlete translates theory into methodology to allow you to write your own training plans and coach yourself to endurance goals. Steve House, one of the best mountaineers, and his coach Scott Johnston, an Olympic-level cross country ski coach, along with Kilian Jornet, hands-down best endurance athlete at this time, present training principles for the multisport mountain athlete who regularly participates in a mix of distance running, ski mountaineering, and other endurance sports that require optimum fitness and customized strength. This is an authoritative but accessible training manual for athletes and coaches who feel most alive in the mountains or pushing the uphill ascent. Distance running, ski mountaineering, skimo, and skyrunning are becoming increasingly popular all over the world, and are often undertaken by the same person during a single year. 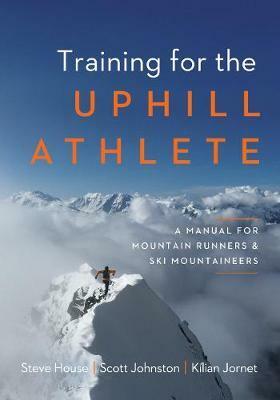 This book collects the scientifically backed and athlete-tested wisdom and experience of three of the best uphill athletes and coaches and extrapolates both to educate outdoor athletes of all stripes to perform their best. The book includes the same mix of theory, application, and experiential essays from experts in the field, as well as instructional illustrations as in Training for the New Alpinism. Contributions by Kilian Jornet increase the worldwide appeal of the book. Steve House is a world renowned climber, mountain guide, and Patagonia Ambassador, widely regarded for his light-and-fast style. He has published articles in a number of periodicals, and he is the author of Beyond the Mountain (Patagonia Books, 2009). He lives in Ridgway, CO. Scott Johnston, who grew up in Boulder, CO, has ski raced on a national and international level and is an avid climber. He currently coaches several of the nation's top cross country skiers, and climbs, establishing local climbing routes in and around his home town of Mazama, WA, in the North Cascades, where he lives. K lian Jornet is a professional sky runner, trail runner, ski mountaineer and long-distance runner. He is a six-time champion of the long-distance running Skyrunner World Series and has won some of the most prestigious ultramarathons, including the Ultra-Trail du Mont-Blanc, Grand Raid, the Western States Endurance Run and the Hardrock Hundred Mile Endurance Run. Jornet holds the fastest known time for the ascent and descent of Matterhorn, Mont Blanc, Denali and Everest.